The Canadian federal government has approved the $11.4 billion Pacific NorthWest LNG export terminal on Lelu Island to proceed this past Tuesday afternoon, with 190 legally-binding conditions to be met. 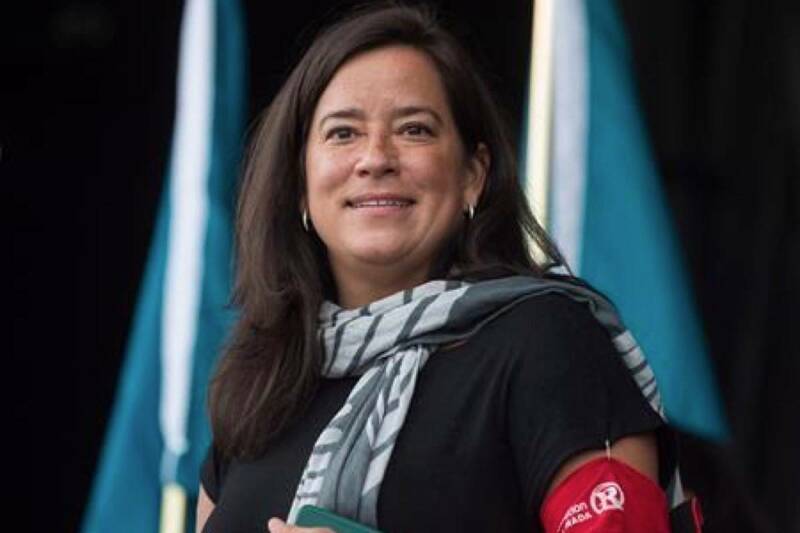 In a much-anticipated decision that has taken the duration of two and a half years from the proponent submitting its initial environmental impact statement in February 2014, Prime Minister Justin Trudeau and his cabinet announced the approval Tuesday afternoon at 6 p.m. PST. As well, officials from the Lax Kw’alaams and Metlakatla First Nations, as well as those from the Tsimshian Environmental Stewardship Authority will be placed on a committee with the government overseeing the environmental impacts of the construction and operation stages of the terminal. The federal cabinet met earlier Tuesday morning and Environment Minister Catherine McKenna, Natural Resources Minister Jim Carr and Fisheries Minister Dominic LeBlanc released the decision from Richmond, after flying from Ottawa earlier in the day. Pacific NorthWest LNG (PNW LNG), an energy consortium led by Malaysian-based company Petronas, will now conduct a “total review” of the project before tabling it to the project’s partners for a final investment decision (FID), said Spencer Sproule, spokesman for the company. Late Tuesday, Pacific NorthWest LNG president Adnan Zainal Abidin said that the proponent will now conduct the review over the “coming months”. “After a rigorous and comprehensive regulatory process, Pacific NorthWest LNG is pleased that the Government of Canada has issued an environmental decision statement to our project,” said Abidin in a statement. Port of Prince Rupert manager of corporate communications Michael Gurney said that the organization is happy the federal government has reached its conclusion. Gurney added that the Port will continue engaging those occupying Lelu Island on a long-term solution for those protesting the decision. In June, PNW LNG submitted the last of its scientific findings at the request of the Canadian Environmental Assessment Agency (CEAA), and the agency stated that the information was adequate to answer any remaining questions it had of the project. Minister McKenna presented the project and its environmental impacts to the federal government over the past three months, which led to the decision Tuesday. Opponents to the project cite the more than five million tonnes of carbon dioxide emitted by the terminal every year as a major reason why it should not proceed, as well as damage to the Flora Bank habitat near the island, which is an eelgrass spawning ground for juvenile salmon. The CEAA report stated that no significant adverse impacts would occur to the salmon earlier this year, but gave numerous other adverse impacts, including dolphin habitation and nighttime noise and lighting. PNW LNG responded to those concerns in its latest scientific information submission to CEAA in June. On Tuesday, McKenna told media in Richmond that the government stands by the science collected by CEAA, which she said is the most intensive research on environmental effects that has ever been performed in the area. Prime Minister Justin Trudeau and the Liberal Government previously campaigned on a platform that showed urgency in reducing the country’s emissions during last year’s election cycle, and Trudeau signed the Paris climate treaty earlier this year, stating that Canada will reduce its greenhouse gas emissions by 30 per cent from 2005 levels by 2030. B.C. Premier Christy Clark has also been a strong proponent of the PNW LNG project, stating that the number of jobs and benefits to the B.C. economy as a strong case for boosting the fortunes of the province’s working class citizens. On Tuesday, she proclaimed the announcement as a victory for the middle class in B.C. and for Canadians country-wide. “B.C. has as much natural gas stored in the northeast as Alberta does,” said Premier Clark. PNW LNG signed Impact Benefit Agreements or term sheets with First Nations Metlakatla, Gitxaala, Kitsumkalum and Kitselas, and recently a 65.5 per cent majority vote conducted with the membership of Lax Kw’alaams voted in favour of the elected council continuing talks with the proponent. In March, Lax Kw’alaams Mayor John Helin sent a letter of support to the government for the project, reversing the Band’s previous disapproving stance. That letter also contained stringent conditions involving ongoing environmental monitoring oversight. The terminal is expected to ship 19 million tonnes of LNG per year to Asian markets, and originally had a 2020 in-service date before multiple CEAA delays plagued the project over the past two years. It is speculated that building the terminal and associating infrastructure, including natural gas pipelines would take four years.